The NCAPA Endowment board congratulates Jasmine Morgan Gosnell as the 2018 NCAPA Endowment Student Grant recipient from the Lenoir-Rhyne University PA Program. Prior to PA school, Ms. Gosnell attended the University of Virginia where she competed on the equestrian and polo teams. She also competed in international croquet! After college, her passion grew into providing service in therapeutic riding programs, as well as the Horses for Heroes and Wounded Warriors organizations. In PA school, Jasmine served as the NCAPA Student Representative to the NCAPA Board of Directors. 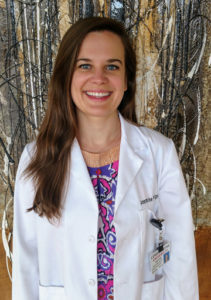 Jasmine is not set on any particular specialty as she looks ahead; however she asserts that whatever clinical work she pursues, she will continue advocacy for the PA profession and for excellent patient care. She even suggests she might run for government office one day—we hope to see her follow that path, as the legislature can greatly benefit from the expertise of PAs! Congratulations Jasmine!